During my early years as a startup-CEO, I frequently met with angel investors who weren’t ready to invest in our company “just yet”. It felt like a full-time job keeping these potential investors up to date and interested in what we did. And I had enough full-time jobs as it was. During my time in an accelerator program, one of our coaches suggested something called an investor update. We had never heard of it, and it didn’t seem like many startup CEOs were doing it. Even though everyone should. At this time, we were fortunate to get a peek into how Josep Nolla (founder of fashion startup Rêve and alumni of the accelerator program) updated his potential investors. So I thought I’d pay it forward. With inspiration from Josep’s email, I’ve created a template and made some additions based on other great writers on the same topic. Before getting to the actual template, let’s talk about why you should spend time on an investor update email, and what to think about. Angel investors don’t sign a deal with startups to cash out as soon as they can. There are a lot better investment projects without the hassles that come with a startup, with a much higher chance of survival, for that. However, there is always a demand for a good ROI. Good angel investors invest with their hearts as well as their minds. If you want to understand this better, you can look up smart capital — the term used for investment that includes knowledge from investors. When you ask for money, investors will ask for facts, numbers and in the end — give advice on what you need to change for them to be willing to invest. When you ask for advice, you build a relationship where you show that you value the knowledge the investor can provide, and this will increase the willingness to invest for any investor who invests with their hearts, and not only their minds. Building relationships take time. By giving potential investors a peek at your business each month, they also get to follow your progress. Investors will always take their time in making decisions. Sometimes that can be a few months, and sometimes a couple of years. If you can prove to them that you are capable of moving your business forward during that time, the sell will be much easier. The investor update email is not a place for only the all-positive comments on how good you are — it’s about showing what you’re doing well, and where you could use some advice. Investors want to know that you have a plan to which you follow well (at least most of the time), but also that they can contribute with something once they invest. Being honest about how you’re meeting KPIs and milestones, as well as what you did well and not so well, gives insights that allow investors to understand your business in a more detailed and personal way. Congratulations, you finally have someone to whom you need to be accountable (I know, being an investor-less CEO doesn’t really provide you with that). In fact, research by The American Society of Training and Development shows that you have a 65% chance of completing your goal when you commit to someone — I know, right?! The power of email..! Being held accountable towards someone, on a regular basis, will also allow you to understand how you’re doing and what you could work on. Have you ever gotten stuck in an endless work phase, where you work and work and never stop to think about where you’re heading, if you’re meeting KPIs or if you’re actually building the right product? We should all take 1–2 hours to reflect on our progress each month. With or without an investor update. I always encourage founders to ask for advice if they get stuck, where an outside perspective usually brings great new insights. At the University incubator SSE Business Lab that I head up, we bring in experienced alumni on a monthly basis for this specific purpose with much success. But it’s not easy asking for advice in a way that triggers action from people who are very busy. Sometimes we get stuck in asking those broad questions that cover all of our problems, while it’s the clear, concise and actionable questions that will get you closer to your goal with more certainty. Giving the investor a clear call-to-action in a brief way can be of benefit to you, not only with the task at hand but with building the relationship and trust. Don’t underestimate what a clear, concise and actionable email can do for you. Most angel investors work with other investors, and having a great investor update email means they might share it with other relevant leads, which can open up for even more opportunities. [DISCLAIMER] Remind the recipient why they are getting your email. [PITCH] Remind the recipient about what you do — people tend to forget, and you want them to be able to pitch you easily for the next person. [SUMMARY] If this is all they read — this should include everything they need to know. [KPIs] Include 3–5 important metrics that you follow here. Some important areas to measure monthly include monthly recurring/net revenue, growth, and engagement. In addition to product metrics, it’s good to mention your monthly burn rate, run rate and how much cash you have in the bank. If you have separate departments for Product, Sales, Marketing etc., you should include some of the KPIs the Heads-of are measured on. 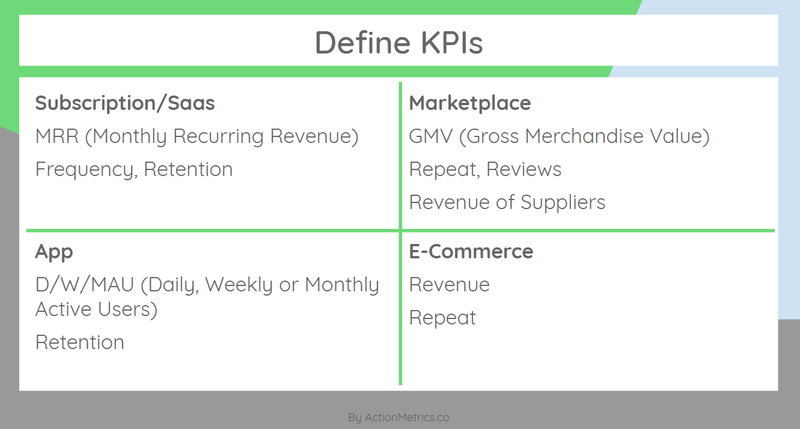 Below is a good summary of great KPIs to use depending on what business you run (ActionMetrics). Kudos to Melinda Elmborg from ActionMetrics for this summary — she’s my go-to KPI-hero! [SUCCESSES] Include 1–5 successes during the month. This should include what you are very proud of or would like to brag about to future investors. [NEXT STEPS/MILESTONES] Include 1–3 things you’re currently working on achieving or milestones ahead to let the recipient understand how the successes are in line with long-term goals and vision. [CHALLENGES/ASKS] Include 1–3 challenges you have that you believe is of interest to potential investors. Remember that the people on this list are not yet “invested” in your business, so don’t include information that will have your company make headlines in the local newspaper. This section is important to give your recipients an understanding of what phase you’re in and encourage them to give input where they can. Challenges and Asks can also be two separate key points if you have challenges that don’t need external support and/or other asks. [GRATITUDE] Always finish off on a good note. This is a great opportunity to thank the people around you who’ve been important for your startup during the last month. The people who’ve taken the time to give advice will be encouraged to do it again and the people who didn’t, want to be included next time — hopefully. [END] Finish your email off by opening up for a discussion, comments or a meeting. [DISCLAIMER] You’re receiving this email because you asked to be included on the progress we’re making with Company XYZ. [PITCH] Company XYZ is a powerful online platform to do certain things and build other stuff. During June, we kept working on our deliveries from last month and managed to finish for our deadline the 30/6. Although we hit some obstacles, we still think we can get the product out in September, just one week late. Our next step and the major milestone of July is to start alpha tests with a few customers we’ve signed on already. Our biggest obstacle is that the recruiting of another engineer is slowing us down. We need the extra set of hands but recruiting takes time. Do you know anyone? Send them our way! Growth: way above target (153K registered users in June — Target Sept 130K) — our influencer campaign really paid off. Engagement: slightly below target (29K in June — Target Sept 35K). Run rate: with current revenue, we have 5 months left before we need to close the round. We’d like to get another alpha test customer onboard for July, but Swedish summer vacation is killing us! Do you know someone who’s spending July in the office and would be willing to be a part of our test? We need a 100+ employee company looking to solve their problem with this in their sales organization. Hit reply! Let me know if you need more info or a break down of the KPIs. And as always, we appreciate this information to be used with care. 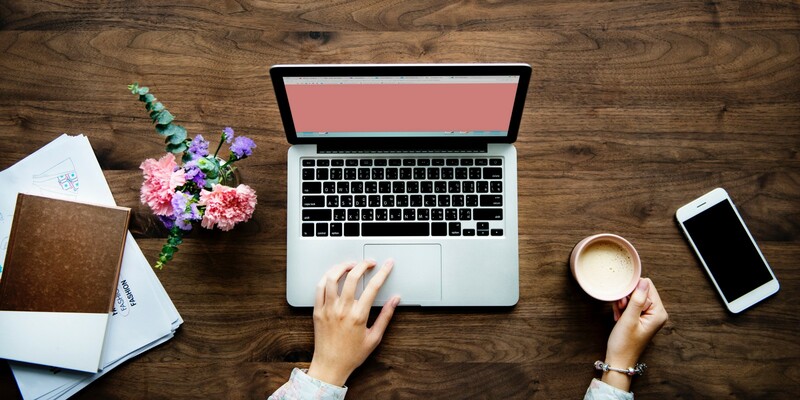 Keep it short and sweet, send emails monthly (and be consistent) and remember that you’re communicating with people who are not invested in your business yet, so be honest but not too transparent. Edit: I got a comment about this from an investor reading the article — don’t include too much sensitive information in this. Remember that VCs at least, could be looking at many similar companies, and you want to be able to defend your numbers in person, and not be compared to others without any control. Don’t add just any person to the list of your investor update email. Make sure they’re interested in what you do and understand the purpose of your update email. People don’t have much free time, and asking them to read something you write monthly is a big deal. Put time into building a relationship before — and always ask before adding someone to your subscription list. And you’ll do great! Hampus writes a really good piece on how to write investor emails once you have a list of existing investors you want to keep up to date. Some advice in his article can be applied to an update email for potential investors as well. This is also a very good read to complement above. The old (and hidden) popular blog post by TechStars’ Ty Danko. It’s a short but great read — and impressive since it was written in 2013. Some of it could be seen as outdated, but I like it as a complement.